A unibrow is also called a monobrow (to mean a single eyebrow). In medical terms, it is referred to as a synophrys. When your brow hair extends and meets in the middle of you’re the area just above your eyes, a monobrow is formed. The reason why this is undesirable is that it looks unnatural. You may need to shave it often or look for other ways of getting rid of it permanently. Many hair removal methods can help get rid of unwanted hair, but which one is without pain and can remove it without the hair growing back? This article will help you remove a unibrow for girls, men and even kids. First, what is a unibrow and why is it unwanted? According to Wikipedia’s definition, a unibrow is that hair that grows in the space between your eyebrows. It grows just above the nose, giving you the impression of one long eyebrow just below your forehead. It is also called a monobrow or unibrow stubble (in men). For some people, this hair grows when they are babies, but for others, it grows when they are adults. So, how do you get rid of a unibrow permanently? Can you get rid of a unibrow forever? When hair between eyebrows starts growing, it comes with its own challenges. Among them are pimples, acne, dandruff or even a spreading cradle cap. While there can be temporary solutions like shaving and waxing as hair removal methods, getting rid of a unibrow forever is the permanent solution. So, is it possible to get rid of unibrow permanently? What methods can one use that are easy and, if possible painless? 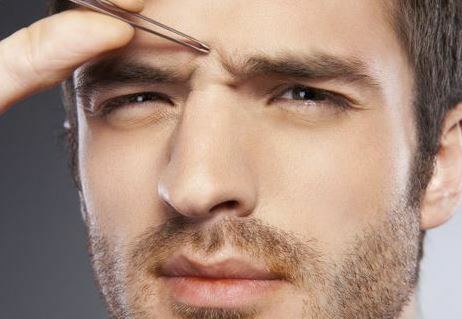 Here are ways to stop a growing stubble between eyebrows and prevent it from growing further. Electrolysis is one of the best ways to remove hair permanently. In this method, individual hairs are removed from the face or the affected area. The reason why it works permanently is that the hair follicles are damaged or destroyed using the chemical energy in the method. Thereafter, the follicles are removed using tweezers. According to WebMD, quite a number of body parts can undergo electrolysis permanent hair removal. These include eyebrows, the abdomen, face, legs, thighs and breasts. Electrolysis is likely to be a little costly, but it will get rid of your unibrow forever without it growing back. However, Lisa Benest, MD answering a question on RealSelf says that they have used laser unibrow removal before although they would recommend using electrolysis to avoid the possible risks and side effects of laser eyebrow hair removal. So how many laser surgery treatments will you need to completely get rid of unibrow hair? StyleForum indicates that you will require about 6 treatments with about 6 weeks spacing in between in order to remove and stop monobrow hair from growing again. Results and number of surgery treatments depend on darkness of hair, coarseness of hair being removed and specific part of the body. When you don’t want to go to the salon, DIY is your best friend. Can you effectively get rid of a unibrow at home? Yes, but most methods you will use will give you excellent but temporary hair removal results. A monobrow can be shaved, waxed, tweezed or even plucked. Whichever method you choose will depend on the kind of procedure you are looking for to remove monobrow hair. Some of these methods may be without pain, while others can be very painful. Shaving does not have pain although it may come with bumps or leave you looking for ways to get rid of razor burn fast. To remove a uniform eyebrow with shaving, shave as u normally shave your eyebrows or facial hair, but be careful not to damage the natural shape of your brow hair. Plucking or tweezing are useful for men and women who want to remove stray hairs on the body or face. These methods are not the best because they are not painless. Tweezing or shaving it off. You may end up scarring or pitting as Hair Facts advises against this method. Plucking can cause bleeding or scarring. You have to pluck every now and then to get rid of hair that grows back. You may pluck unibrows if you have very little hairs there. It will be a fast option at home without opting for painful methods that may also turn out to be costly. Apply wax ensuring you cover the hair in the middle of the forehead evenly. Do this using a good size of an applicator and ensuring you follow the direction of hair growth. Apply the waxing strip or waxing tape to cover the area and press on it to make sure all the strands are attached to the strip. Hold the skin tight and grasp hard on one end of the wax strip – on the opposite end of hair growth, and pull at once to the other direction. If all the hair is not removed, repeat the procedure. Clean the wax and any loose hairs. Cleanse your skin and sooth it with lotion or aloe vera gel lotion. Slight unibrow or small unibrow can be removed using hair removing creams. These creams are effective and are commonly used to get rid of facial hair in women. Depilatory creams will remove unwanted hair superficially and not deep in the roots. This method works by dissolving the unwanted hair although it might not be very safe around the eyes because the skin around the eyes is sensitive and thin. Some of the commonly used gentle facial hair removal creams include Nads, Olay, Nair and Sally Hansen. These could be the best way to rid monobrow hair without tweezers, shaving or plucking and without getting pimples because of the less physical strain on the skin. Hair bleaching to make it less noticeable can give excellent and relatively permanent results if you have short and fine hair in at the center of your forehead. Most bleaching creams use hydrogen peroxide as an ingredient and will lighten the unibrow to hide it or to conceal it fast. You may want to bleach various times in order to hide the hair, although getting blonder hair might not be the best idea if you have a darker complexion. I have seen the question being asked many times – whether you would remove a unibrow on a child or toddler. Well, for most kids, the hair is not noticeable, and the skin being tender, trying to remove it can cause skin irritation. Personally, I do not recommend trying to get rid of kid’s unibrow. However, some people recommend using threading as a safe and painless method. Do not try waxing your baby’s hair on forehead or around eyebrows. Plucking is also painful and creams are dangerous to try to stop a growing unibrow because of a possible skin reaction. You should probably let your child grow with it and decide on their own what to do with it. How do guys get rid of a unibrow fast? The methods discussed here work for both males and females. However, most men will prefer tweezing hair as opposed to methods like bleaching and using hair removal creams or waxing. Men who want to get rid of their unibrows forever can opt for permanent hair removal options discussed above, which include laser surgery and electrolysis. Some men prefer to leave the monobrow intact and not disturb it because generally, men have a lot of facial hair and that will not look unique or awkward. 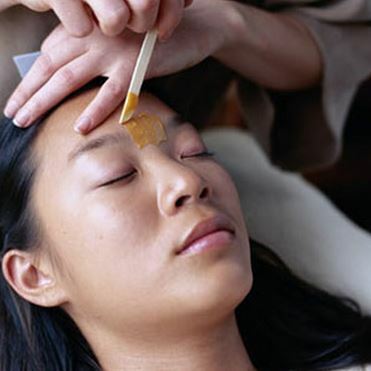 Natural treatments for a unibrow include sugaring and threading. Sugaring is another version of waxing, only that it does not use chemical waxes, making it a natural cure to remove monobrow. Mix granulated sugar with other ingredients such as water and lemon juice to make a slightly thick solution. Use it as you would any other wax to take off the hair. Threading is an ancient eyebrow hair removal technique as well. You can apply it on hair between eyebrows if it is not coarse or tough. This method is about “rolling intertwined cotton threads along the skin to lift a line of hair out by the follicles.” As a natural method, it is relatively not painful and can be comfortable on sensitive skin. What is Vulkan Runtime Libraries? Should I Remove It?